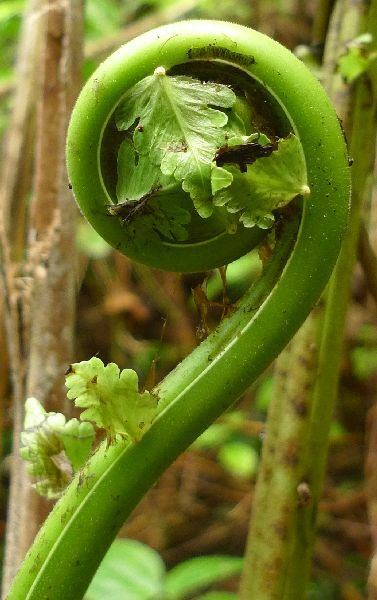 Koru (unfurling frond) of a Pneumatopteris fern in Fiji. Photo Leon Perrie, Te Papa. I’m lucky to have escaped the end of the New Zealand winter with a work trip to Fiji. This was as part of a Conservation International-funded, international expedition. The trip was led by Matt von Konrat of Chicago’s Field Museum, with local logistics coordinated by Marika Tuiwawa and Alivereti Naikatini of the University of the South Pacific’s SUVA herbarium. Other participants came from Australia, Hungary, Norway, and Thailand. The main goal of the trip was collecting liverworts, mosses, and lichens. These plants are poorly known from Fiji and much of the tropical Pacific. Te Papa Research Fellow Patrick Brownsey and I provided complementary collections of Fijian ferns. We spent time in the Namosi and central upland areas of Viti Levu, as well as Kadavu. We collected 270 specimens of at least 160 different fern and lycophyte species; many of the specimens have yet to be identified. 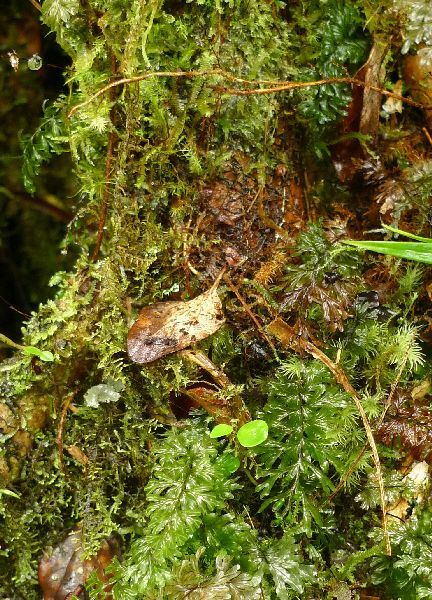 A Hymenophyllum filmy fern (bottom) competes for space with mosses and liverworts on a tree trunk in cloud forest on the Delainbukelevu volcano. Photo Leon Perrie, Te Papa. 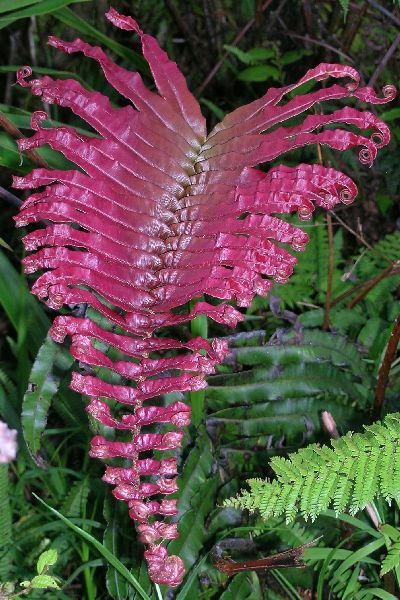 Fiji has some 330 species of ferns and lycophytes. A revised checklist authored by Pat and I will soon appear in the Royal Botanic Gardens of Sydney’s journal Telopea. A young frond of Blechnum milnei, a Fijian endemic that is closely related to New Zealand’s kiokio, Blechnum novae-zelandiae. Photo Leon Perrie, Te Papa. Some of the photos from our 2008 trip to Fiji are already on Te Papa’s Collections Online. I’ll add more information as we process the 2011 specimens. 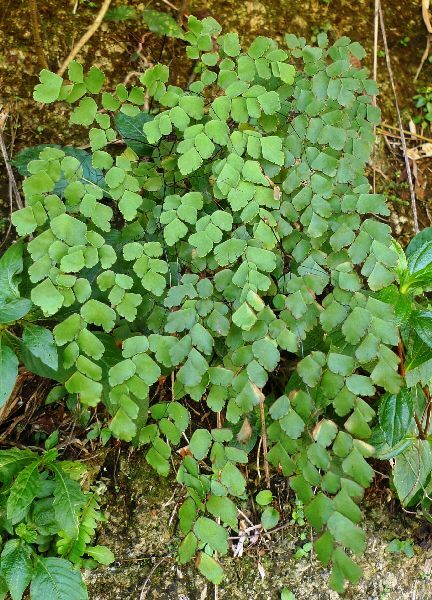 Maidenhair fern, Adiantum capillus-veneris. This is not native to Fiji but has become a common weed around many parts of Suva. Photo Leon Perrie, Te Papa. Post on our volcano climb.